Jazzy is a very sweet, friendly, bold and playful, full-figured, six-year-old, black and white kitty looking for a loving guardian. 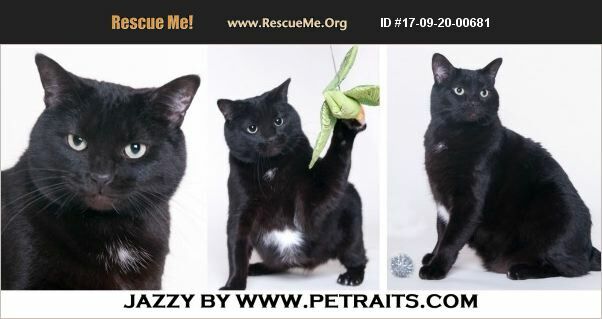 Jazzy has all her claws but is very gentle with people and other cats. She gets along wonderfully with all the other cats at the shelter and she even lets you trim her nails. She is not as fond of dogs. Jazzy is very healthy, spayed, up-to-date on vaccines, virus-tested and micro-chipped. If you are interested in meeting and possibly adopting her, please fill in the online application at http://www.famousfidorescue.com/CatAdoptionForm.html and follow up by contacting Gloria at fido@famousfidorescue.com or 773-907-0305. Her adoption fee of $125 benefits the rescued pets of Famous Fido. Jazzy has been at the Famous Fido Rescue Headquarters for over a year. Please come meet her at 3124 W. Irving Park Road (at Troy Street) in Chicago. Call Gloria at 773-907-0305 to make an appointment to meet Jazzy and all the other wonderful cats and dogs at the shelter.